Seeds must be completely dry. 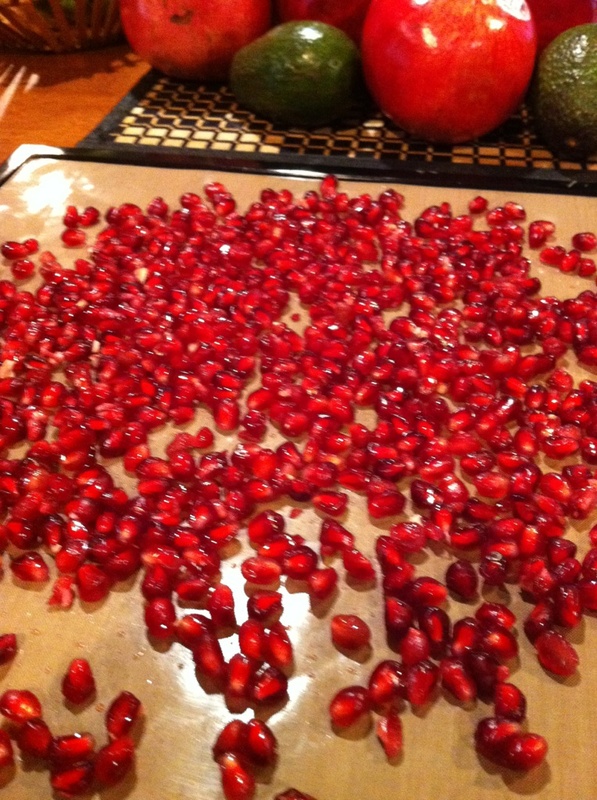 If you do not have a dehydrator, put seeds on a cookie sheet and put in a warm oven for 10-15 minutes or until sticky. Or, dehydrate on a paraflex sheet or parchment paper for approximately 1 hour at 105. 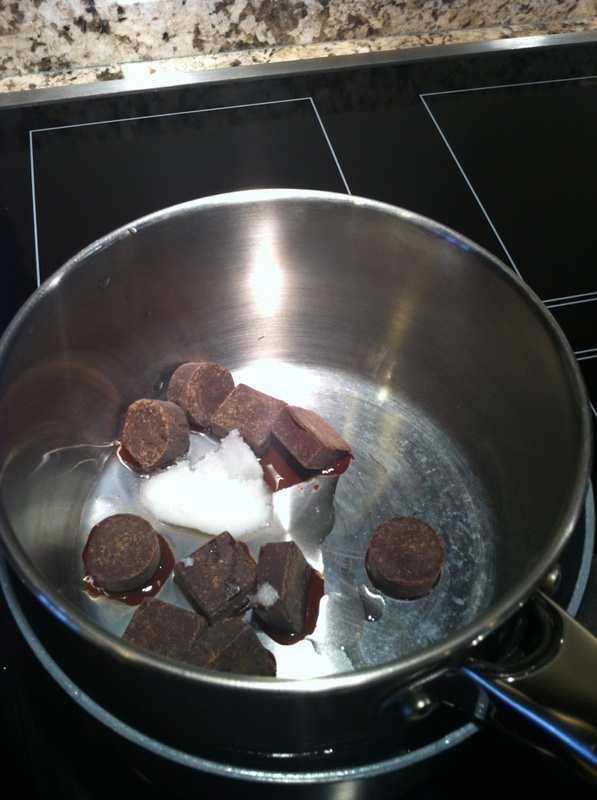 Use a double boiler or boil water in a pot and set a glass bowl or another pot over the top. Melt ingredients in top bowl without cooking. To assemble, use small paper muffin cups or assemble as cluster on a cookie sheet. Drizzle a small amount of chocolate sauce into the cup. 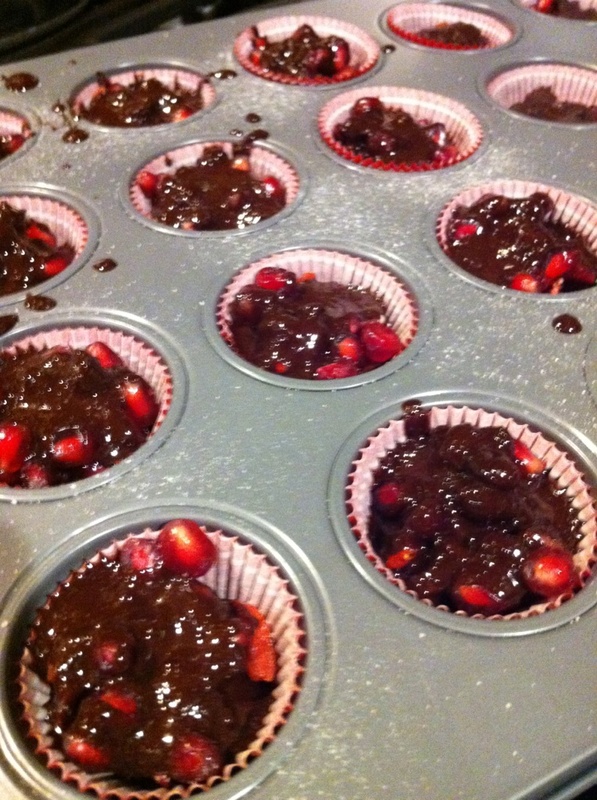 Fill cups with pomegranates and a few goji berries. Drizzle more chocolate on top. Sprinkle a slight amount of Himalayan salt on top and set in the freezer until set. Can be stored in refrigerator in a covered container. 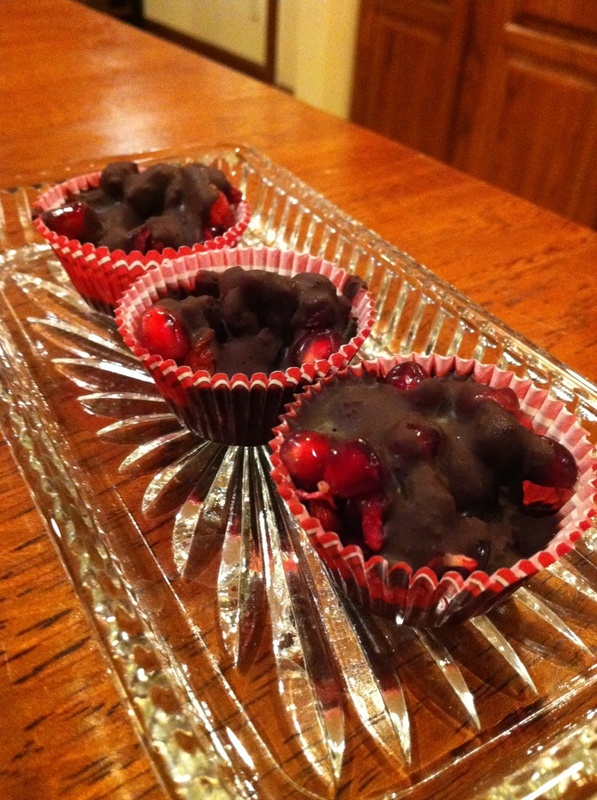 This entry was posted on May 8, 2015 by thrivecoach12 in Desserts/Snacks and tagged Antioxidant Recipe, Blood Pressure, Cacao Recipe, Cancer, Dehydrator Recipe, Fairview Heights Nutrition, Immune boosting recipe, Pam Faulkner Recipes, Thrive Coach 12 Recipes.